Stone Xocoveza was originally brewed as the winner of their annual homebrew competition in 2014. 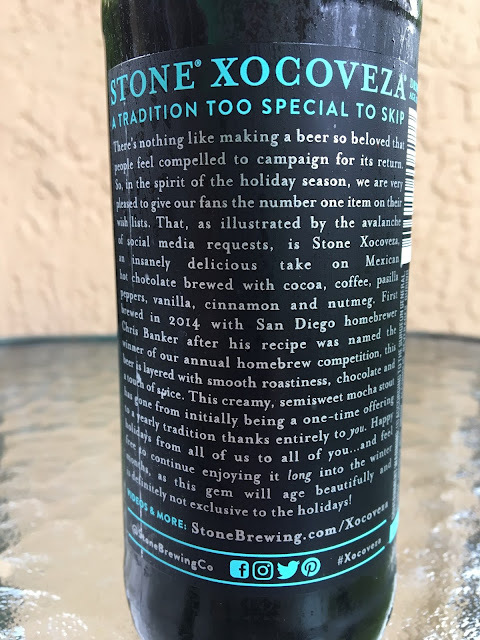 Apparently, Stone got tired of hearing social media calls for a re-brew, and now making this beer is "a yearly tradition too special to skip." Aroma so awesome I want to make out with it! Rich chocolate, awesome coffee, cinnamon, and spice delighting my nose! 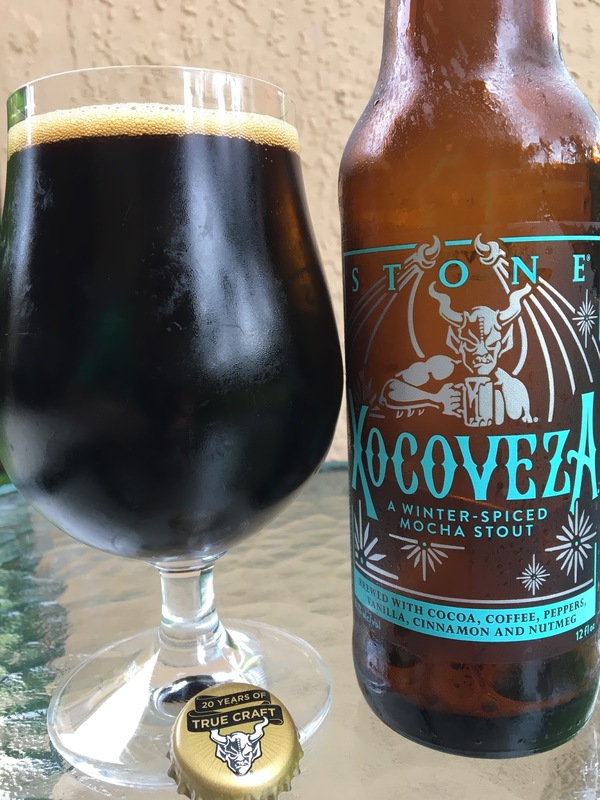 Chocolate flavor comes first, super creamy coating the palate on every sip. Not sweet at all. A really nice coffee flavor and roast complements that chocolate start. Spicy peppers don't wait for an invite and shoot through the chocolate, nice combination. But while adding a little heat, this isn't a pepper beer, not overdone, just right. Vanilla and cinnamon add some intriguing complexities.